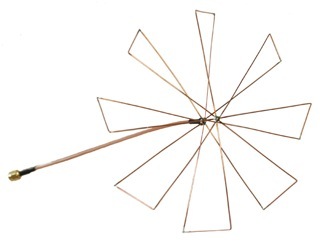 Antennas come in different shapes and sizes. But why do they? “Normal” antennas, the ones you see everyday on rooftops, routers and antenna towers are linear polarized. Meaning that they radiate in only one plane, either vertically or horizontally. Whenever you take a linear polarized antenna and turn it 90° it changes it’s polarization. If it’s inline with the horizon it’s horizontally polarized, hence the name. The trouble is that when a vertically polarized antenna tires to communicate with a horizontally polarized antenna (this is called cross-polarization), and vice versa, you get a 30dB loss in signal strength (which is a lot!). 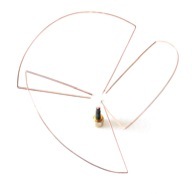 Linear polarized antennas are very cheap and easy to manufacture and they work well enough in everyday applications. In normal applications, the problem with cross-polarization is nearly non-existent. It’s not very likely that your car or house will turn 90° onto its side, giving you problems with loss of radio- or TV-signals. Even if that happened, you would have bigger problems than cross-polarization issues. 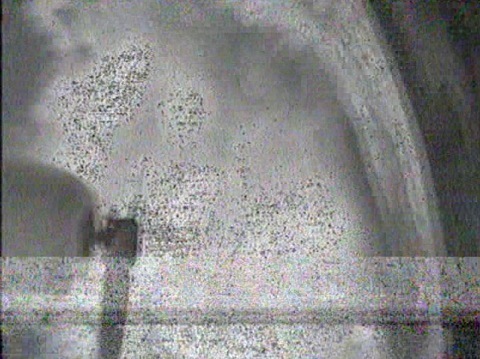 But while flying FPV we constantly change the orientation of the antenna. In every turn, loop or roll of your aircraft, the polarization is shifted and you loose the image for a short while. This is where circular polarization comes into the picture. Instead of transmitting in just one plane a curricular polarized antenna transmits in both planes at once, with a 90° phase shift between the two planes. The signal in this case would not look like a sine-wave transmitted by the linear polarized antennas but rather like a corkscrew. Circular polarization comes in two variations as well, Right hand polarized andLeft hand polarized. If these two tries to talk to each other there would be a 30dB loss. However if circular polarized antenna and a linear polarized antenna tries to talk to each other, there is only a 3dB loss regardless of the orientation of the two antennas. This means that you can fly the plane in any orientation without loosing signal, which would seem to be a very good solution for FPV-fliers. But it gets even better. Whenever the signal bounces on something it gets distorted. The receiver receives both the good (un-bounced) and the bad (bounced) signals, which leads to a really bad image. It can be as little as a small color change or as bad as huge bars, black and white and barely viewable image. This phenomenon is called multipath interference. Multipath interference is by far the worst enemy when it comes to getting a reliable, solid video link. The amount of interference is depending on how you position your gear as well as the objects and terrain around you, so you can only avoid it to a certain extent. Now this is where circular polarization really sweeps the floor with linear polarization. When a right hand polarized signal bounces on an object, it changes it’s polarization to left hand (and vice versa)! And what happens when a right hand polarized antenna tries to receive a left hand polarized signal? That’s right, there is a 30dB loss! This means that multipath interference can be greatly reduced (or even eliminated) by using circular polarized antennas, as you will only receive the good (un-bounced) signals that haven’t changed polarization (bounced). This will not only lead to a better picture, it also leads to a longer usable range on your video system. Why then aren’t circular polarized antennas used all the time on everything? That’s because they are expensive and much more complex to make. They are also bulkier. But, in my opinion, this is a small price to pay for a lot better video quality in our specific application. 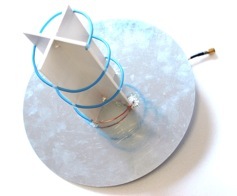 So, how do you make these circular polarized antennas? Look out for the upcoming guide, and you’ll get the know-how too! ← Circular polarization – What is it and why use it?